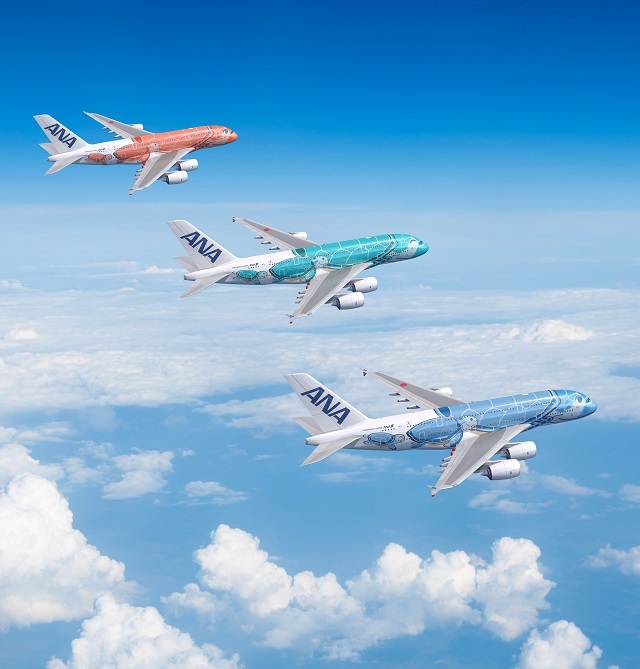 The aircraft’s Flying Honu turtle-themed livery comes in three colors: blue, teal and orange. 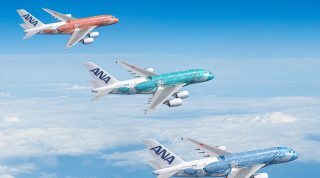 Come May 24, 2019, Japan’s All Nippon Airways (ANA) will debut a nonstop Tokyo-Honolulu service on its new A380 aircraft. 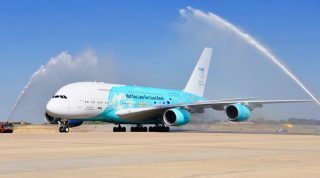 Fitted with first-class, business-class, premium economy, economy, as well as “ANA Couchii” seats, the double-decker aircraft also features cabin interiors that light up with special colors to reflect the US state’s enviable blue skies, sunrises, sunsets, and rainbows. 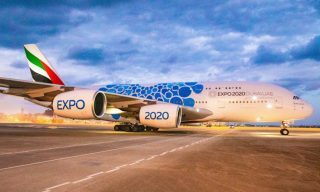 The airline has recently unveiled details of the menus and amenities that will be offered to passengers on board the upcoming flight. 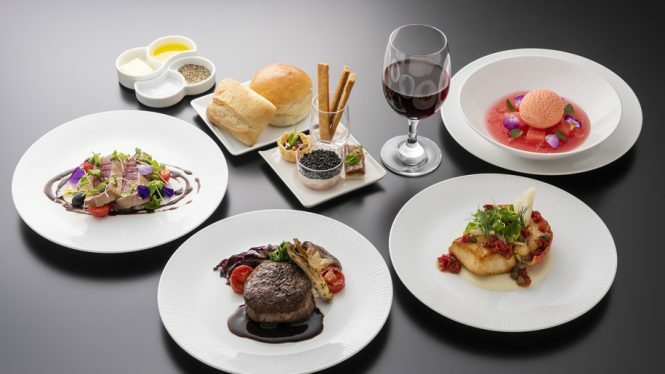 Passengers traveling in the aircraft’s brand new first-class suites will be served dishes by Italian restaurant Noe at the Four Seasons Resort Oahu at Ko Olina from the inaugural flight through August 2019, with the meals created by the restaurant’s Michelin-starred chef Ryo Takatsuka. Premium-economy passengers will enjoy an upgraded meal choice between international or Japanese fare. 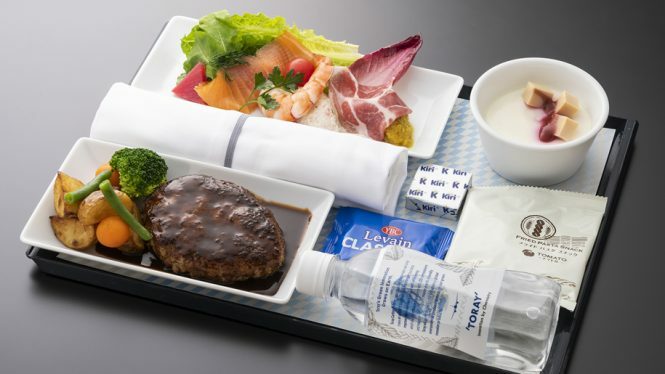 Meanwhile, economy-class travelers will be served meals developed by ANA and Australian casual dining eatery Bills from May 2019 until May 2020. 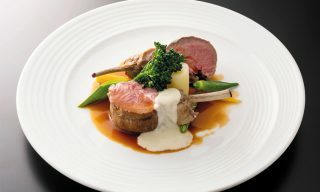 In addition, they’ll enjoy a complimentary coupon for a drink at Bills Waikiki in Honolulu. While the business-class menu is yet to be revealed, passengers across all classes can order one of the airline’s signature Blue Hawaii cocktails on flights both to and from Honolulu. 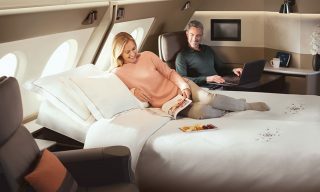 To ensure a good night’s rest, first-class passengers will bed down with Hungarian white duck down pillows, a comforter from Japanese bedding company Tokyo Nishikawa Sangyo, as well as organic cotton loungewear and blankets from organic bedding brand Tenerita. 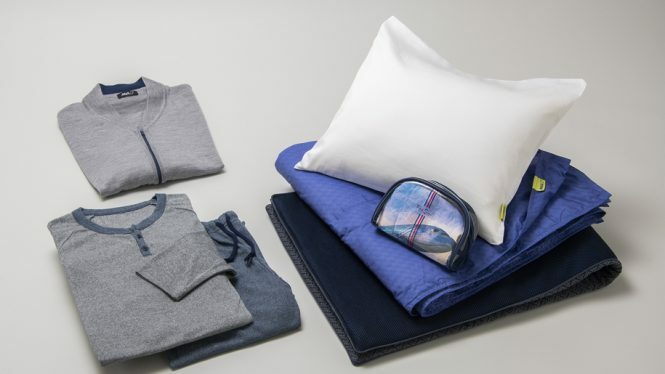 Those in business class will receive a pillow, comforter, sheets, and loungewear from Japanese label Maruhachi instead, while ANA Couchiii passengers will also have dedicated bed sheets, a pillow, and a blanket. Amenity kits will also be available to passengers in all classes except for economy. 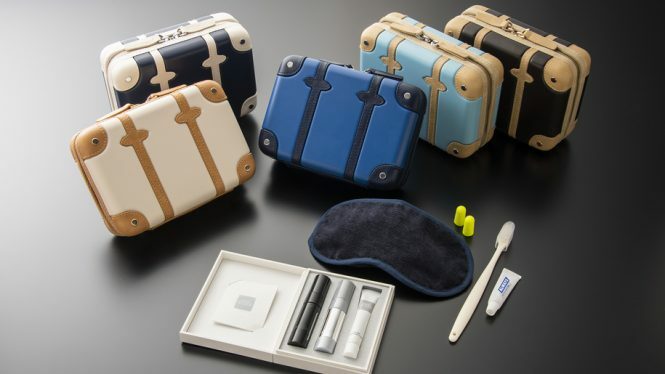 The most stylish of all is the first-class amenity kit, which has been designed in collaboration with British luggage manufacturer Globe Trotter to resemble miniature suitcases. The most stylish of all is the first-class amenity kit, which has been designed in collaboration with British luggage manufacturer Globe Trotter to resemble miniature suitcases. 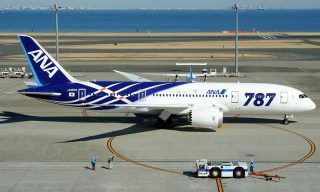 Notably, this is Globe Trotter’s first tie-up with an airline. 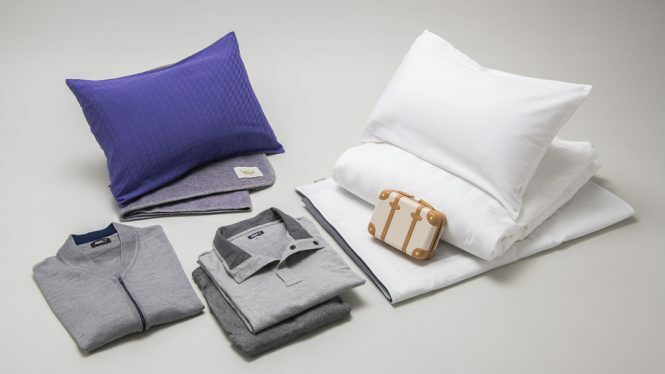 Business-class passengers can expect an amenity kit designed in tandem with American luxury label Fred Segal—one that’s exclusive to the Honolulu route; while premium economy passengers will be given a simpler kit bearing the design of A380’s tailfin.